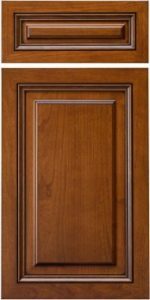 CRP-1389 is similar to the Presidential Miter door with a decorative interior bead profile. This door allows the selection of an outside edge. NOT AVAILABLE IN INSET CABINETS.